How to create and implement a platform strategy that transforms your business model for the digital economy. Profits in traditional sectors are shrinking as digitization accelerates and competition increases. But new growth opportunities are emerging for traditional businesses and established companies who can create bold new strategies. Incorporating platform and ecosystem thinking is key to this. Today the most valuable companies in the digital economy, and the majority of ‘Unicorn’ start ups operate business models based on platforms and ecosystem management. Few traditional companies have been able to replicate their success even though, in principle, they have the assets to do so. Although dominantly related to “newcomers”, like Amazon, Alibaba and Facebook, a platform strategy option is no longer reserved for the big few. 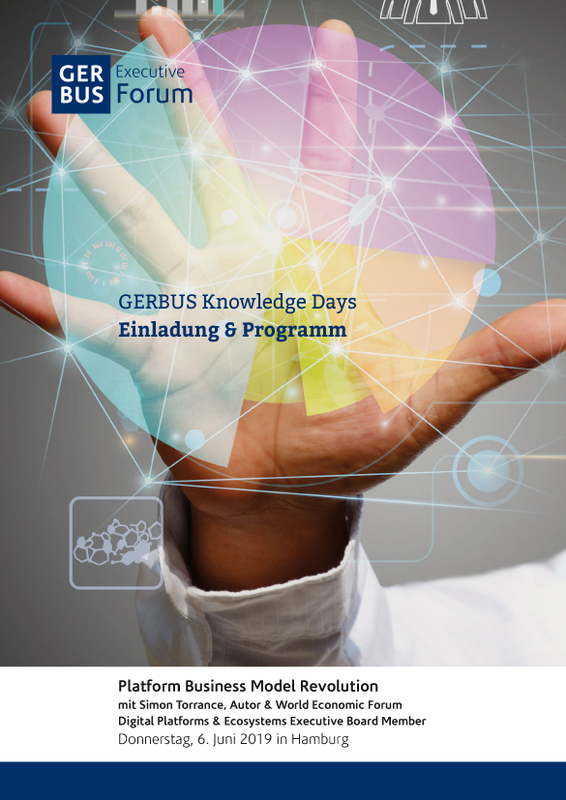 On this GERBUS Knowledge Day, we will explain why and how traditional companies can transform their business models with a platform and ecosystem strategy. How do platform business models work to create new value and why are they so powerful? (How) can traditional companies transform their business models? What are the options for implementing platform strategies: build, buy, partner? What are the practical opportunities to leverage new technologies like AI and Blockchain? What are the 5 practical steps to RENEW your organisation’s business model and make it fit for the digital economy?